Looking for gift ideas for loved ones, friends or business associates living in New Zealand, then look no further! You no longer have to wait weeks for a gift to arrive, these luxury hampers, gift baskets & fresh flowers has been specially chosen as most can be delivered free and within a few days or on a date of your choice to any address in New Zealand. Order one of our hampers or fresh flowers bouquets today and surprise them from the other side of the World! Clearwater Hampers offer a large selection of flowers and gift hampers perfect for any occasion with free NZ delivery. The New Zealand delivered hampers above include alcohol, non alcholic, sweet, savoury and indulgent food and drink treats, all delivered on a date of your choice to your Kiwi friends and family in New Zealand. Now you can send gifts with ease to loved ones down under with our range of hampers and gifts ideal for birthday's. Christmas, celebration and special occasions. Order your hampers, gift baskets or flowers for free delivery in New Zealand and we will arrange delivery to any address on either North Island, South Island or more remote Islands on your preferred delivery date. Don't delay and place your order today for fast, efficient delivery to family and friends in NZ! 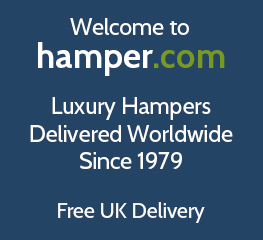 If you would like to know more about our New Zealand international delivery of food hampers and luxury gift baskets with free delivery anywhere in the country, simply give us a call on +44(0) 1235 833732.